This fashion photography background is so modern that 50th birthday pattern, gold and black color. This modern designer backdrop is made of vinyl cloth, eco-friendly, non-toxic and resist mildew. Material and Size: This backdrop adopt high quality vinyl cloth ,which makes the pattern more realistic. 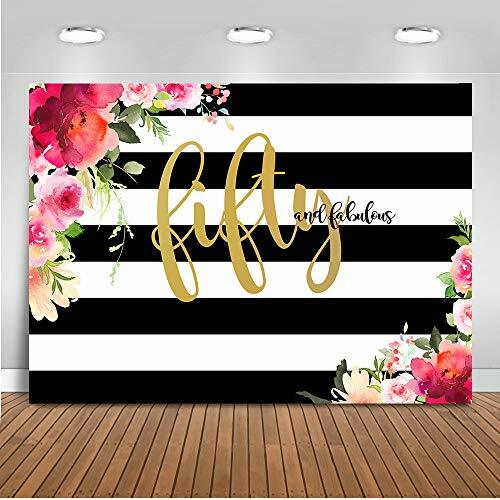 7x5ft Design: 50th Birthday Theme, 50th birthday pattern, fashion and cool. Gold and Black color. What's Included: Photography vinyl cloth(folding) ,background stand is not included. Apply: Ideal for wedding, party, newborn, children, and product photography, as well as for video backdrop. Maintenance: The recovery crease method is roll it up tightly with a cylinder and then just waiting for 2 to 4 days. The wrinkles and crease are almost removed. Please iron the back surface with low heat steam iron but not dry iron. 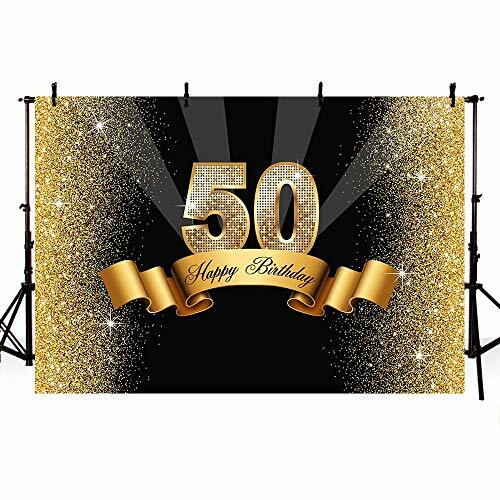 Details: Material: Vinyl cloth Pattern: 50th Birthday Size: 7x5ft Weight:0.73 LB What's Included: Photography vinyl cloth(folding) ,background stand is not included. Notice: ★ All dimensions are measured manually with deviation (ranged) at 1-3mm. ★ Item may be a little different from the picture due to the lighting and your monitor's display. 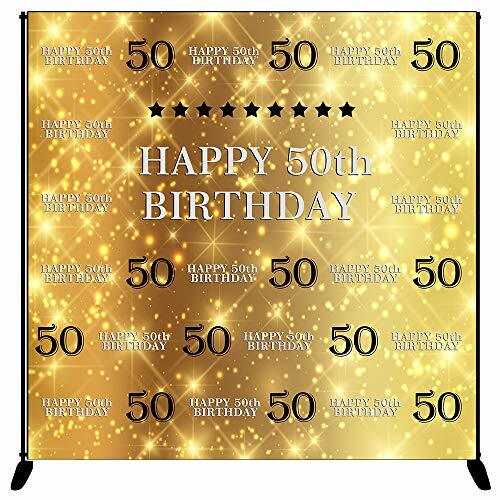 This fashion photography background is so modern that 50th birthday pattern, gold and black color. This modern designer backdrop is made of vinyl cloth, eco-friendly, non-toxic and resist mildew. �Material and Size:: This backdrop adopt high quality vinyl cloth ,which makes the pattern more realistic. 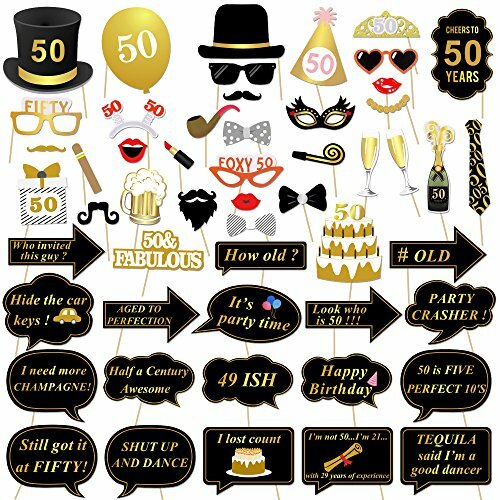 7x5ft �Design: 50th Birthday Theme, High Heels pattern, fashion and cool. Gold and Black color. �What’s Included: Photography vinyl cloth(folding) ,background stand is not included. �Apply: Ideal for wedding, party, newborn, children, and product photography, as well as for video backdrop. �Maintenance: The recovery crease method is roll it up tightly with a cylinder and then just waiting for 2 to 4 days. The wrinkles and crease are almost removed. Please iron the back surface with low heat steam iron but not dry iron. 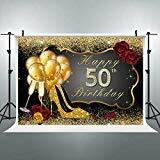 Material: Vinyl cloth Pattern: High Heels Size:7x5ft Weight:0.75 LB What’s Included: Photography vinyl cloth(folding) ,background stand is not included. Notice: ★ All dimensions are measured manually with deviation (ranged) at 1-3mm. ★ Item may be a little different from the picture due to the lighting and your monitor’s display. 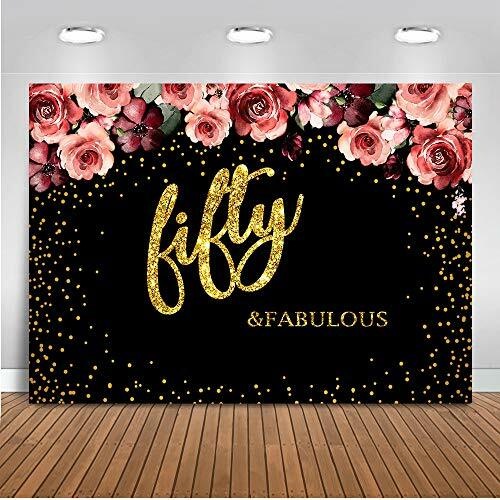 ★Product Parameters: 1.Backdrop x 1 2.Material: Thin Vinyl Fabric 3.Product Size: 8(Width) x 6(Height)ft / 250 x 180cm 4.Package Size: 20x20x3cm 5.Package Weight:340g / 0.75Ib ★Product Features: 1.High-resolution digital print with eye-catching details and lifelike colors. 2.The product is lightweight and easy to carry. 3.Vinyl cloth is not washable. Please use a damp cloth wipe the stain. 4.The product is printed by an inkjet digital printer and the picture is very good. ★About Using: 1.With the use of photography backdrop stand, clips and light, the picture is better. 2.For family photography, Using tape to stick the backdrop to the wall. 3.It is better to keep some distance when you take pictures. ★Custom Design Backdrop: Step One: Tell me your idea by email. Step Two: Our professional designers design your idea for you. Step Three: Send the sample to you to confirm if it can be produced. Step Four: You place an order and payment. Step Five: Our factory produces and shipping. Thank you very much for purchasing or customizing the products you need in Mocsicka, looking forward to your next purchase! 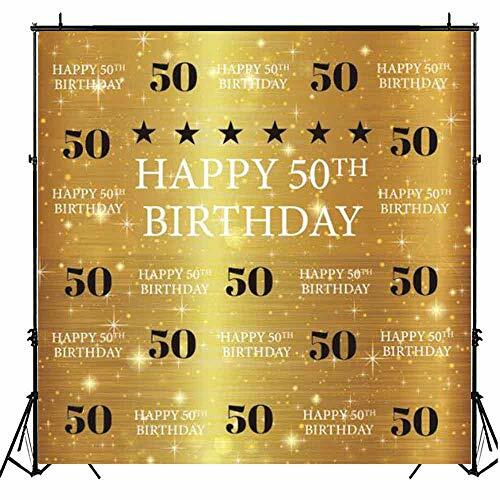 Adult 50th Birthday - Gold - Birthday Party Photo Booth Backdrop - 36" x 60"
50th Birthday Party Cups. Handcrafted in 1-3 Business Days. Set of 10 Party Cups. 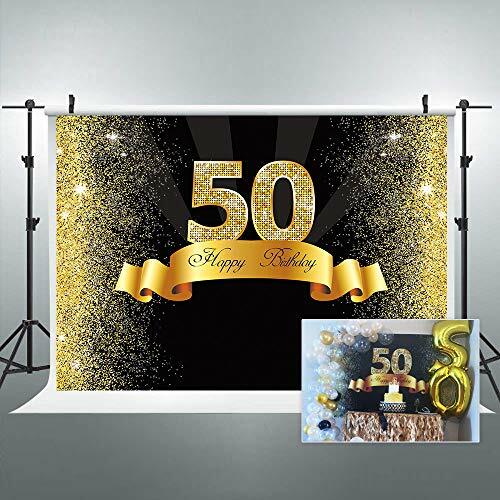 50th Milestone Birthday - Photo Booth Backdrops - 36" x 60"